You might have noticed that Bleistift is much quieter than it used to be. This is mainly down to a change at work, which will keep me more busy for the next few months1. 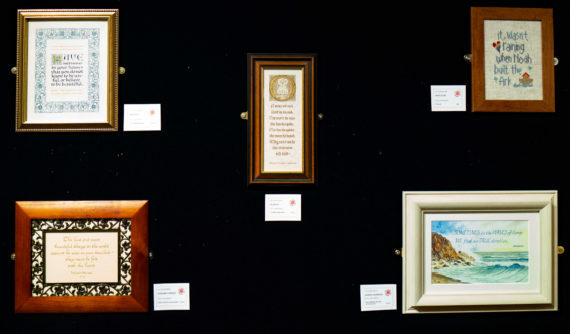 There are a few unpublished, half finished posts plus there are videos from the last few months that have not received the accompanying blog post yet. New blog posts in the next weeks and months will probably be mainly made up of these kind of articles. 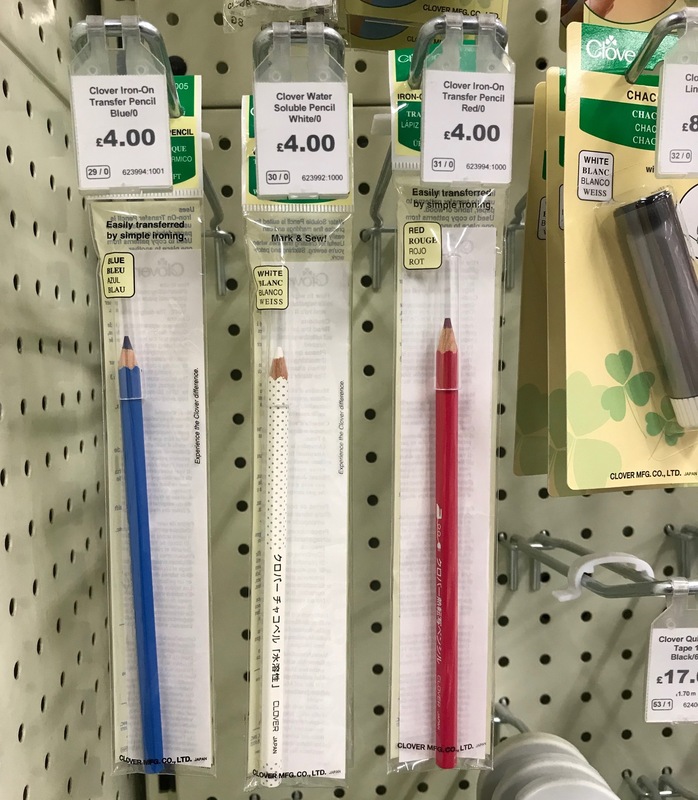 Before I disappear from the blog again for another few days, here are a few stationery related things I have noticed that I want to share with you. 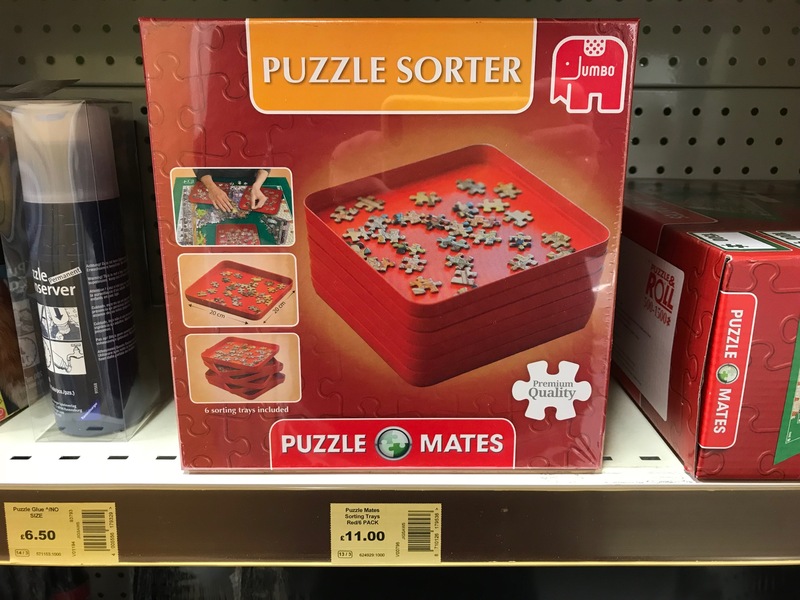 This puzzle sorter looked quite possibly useful for stationery-related purposes. 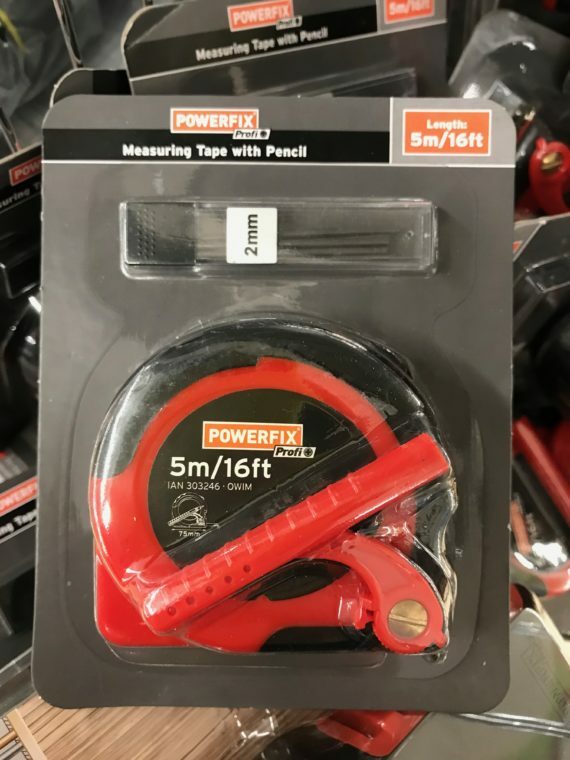 I wonder whether it would make a great stackable pen storage. 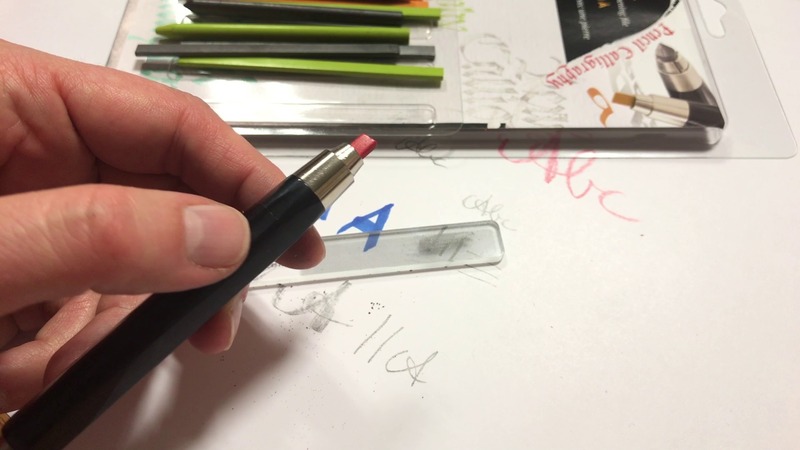 The packaging was sealed, but as far as I can tell each tray (there are six inside) should provide enough depth for a pencil. 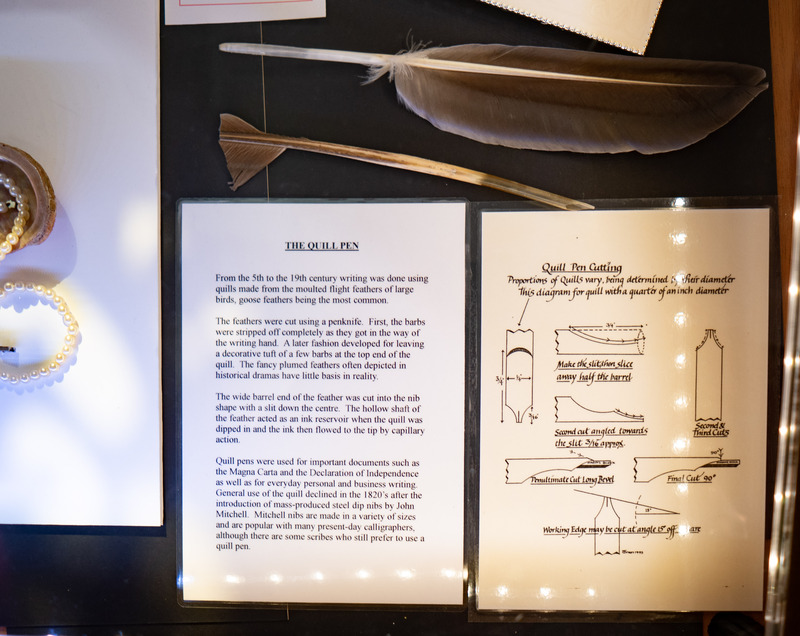 One last surprise: you don’t get to see a Pilot pen on exhibition in your local museum very often. 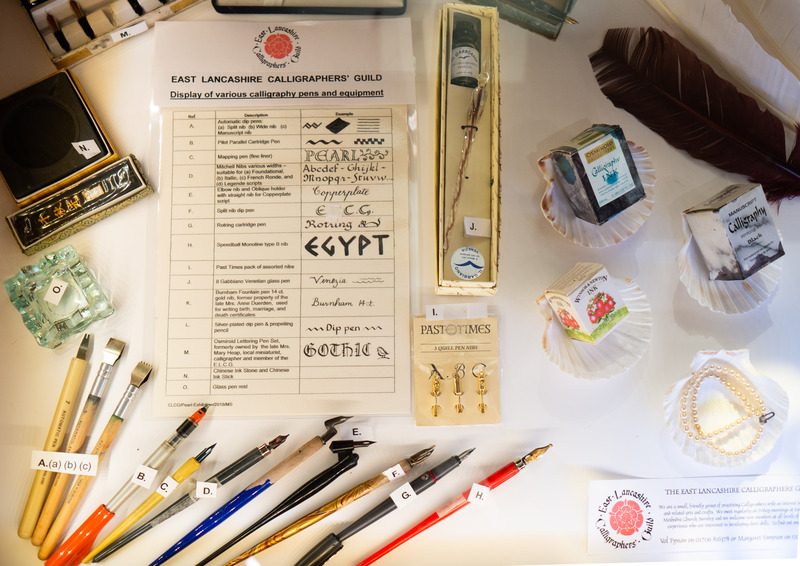 The museum had an exhibition to celebrate the 30th anniversary of the East Lancashire Calligraphers’ Guild, including some of the tools used and some of excellent examples of calligraphy. A few weeks ago I went to a calligraphy workshop. My first ever. I found out about it when one of my students, who knows I like stationery, told me that a calligraphy workshop will be held on the premises of my employer (a university). 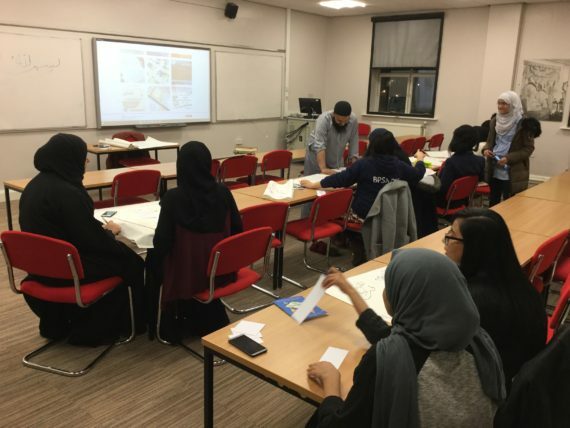 The student told me that the workshop was organised by the students’ Islamic Society, so I assumed it would be Arabic calligraphy, but wasn’t sure and couldn’t find out more online. Well, I went there and it was Arabic calligraphy after all. 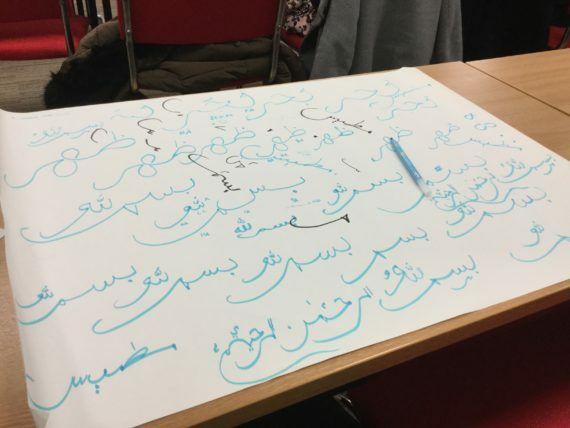 As I don’t know anything about Arabic script I thought this would be an opportunity to learn more about it. When I asked I was told that the workshop is suitable for someone who doesn’t know Arabic. I paid my £3 fee, but it all turned out a bit different than expected. I expected to use tools somehow similar to a dip pen and parchment, but instead, we wrote with colour markers on easel pads. I am still not sure how Arabic calligraphy works. Someone wrote with a board marker on a white board and we copied that sentence again and again. The idea was that you vary the look of the letters (if that’s the right word, are they called letters?) to look good ..but as I don’t even know how the letters are supposed to look like I wasn’t sure how they can be changed or varied while still staying recognisable to someone who can read Arabic. No idea whether this looks good or not. It was an interesting experience, but it would be nice to make these events more inclusive by making them less of a ‘you copy down what’s on the board’ exercise and giving some explanations about the writing system. I wonder whether there’ll also be Western calligraphy workshops in the future.